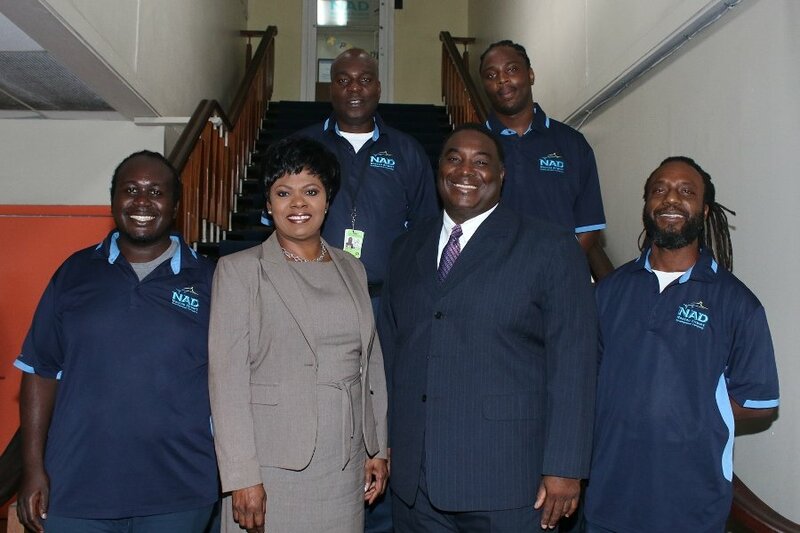 Five Nassau Airport Development Company (NAD) team members were recently promoted after successfully completing the inaugural exam for a new Maintenance Promotion Assessment Program recently launched by the company. The new programme was created as a progressive vehicle to support the career development and upward mobility of maintenance team members. NAD’s 46-strong maintenance team keeps the award winning and state-of-the-art $409.5 million Lynden Pindling International Airport in top shape! The team encompasses such technical trades as electricians, plumbers, heating ventilation and air condition experts and baggage handling system technicians.